"A hundred million for that?" Following on from the previous episode, the Liberator is travelling to the planet Aristo to deliver urgent medical supplies to Ensor, father of Ensor Jr. whom the crew helped in 'Deliverance', and the creator of Orac. However Gan, Jenna, Vila and Avon have come down with radiation sickness as a result of their efforts and there are no anti-radiation drugs aboard the ship. Their only hope is that Ensor can help them. Servalan and Travis have also arrived on Aristo, intending to steal Orac. Ensor's hidden laboratory is protected by a force field so they are forced to take an underground tunnel to gain access. On the way, Servalan is attacked by a native inhabitant of the planet but is saved by Travis. 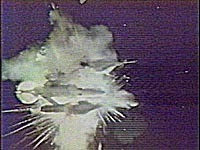 The Liberator arrives in orbit and is detected by Ensor's security devices. Ensor's creation, Orac, puts defensive measures into operation. This involves taking control of the Liberator's computer systems in order to establish the crew's credentials. 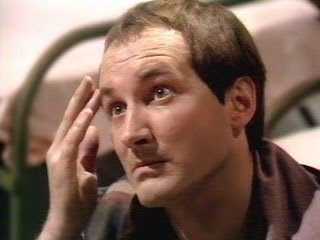 Once Blake has established that he is there to help, Orac allows him and Cally to teleport to the planet. Once there he allows them past the force field and into Ensor's lab. Ensor is dying. He has a mechanical heart that needs to be replaced immediately. 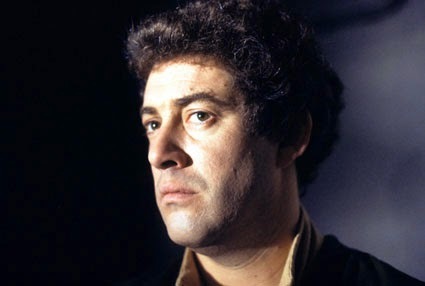 Blake offers to take Ensor to the Liberator and perform the operation on him there. Ensor agrees however they need to get to the surface of the planet before they can teleport back to the ship. Just as they are about to leave, Travis and Servalan arrive and Blake, Cally and Ensor along with Orac are forced to escape into the tunnels. The trip through the tunnels proves too much for Ensor's heart and he dies enroute. 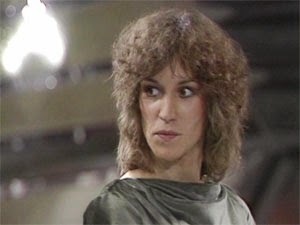 Blake and Cally make it to the surface with Orac where they are once again confronted by Servalan and Travis. Just as Travis is about to kill Blake, Avon and Vila intervene and rescue their crewmates. Blake and the others teleport back to the Liberator, taking Orac with them. Blake At the end of the episode, Blake stops Avon from killing Travis and Servalan. He decides that it would be much better to let the Federation know that Servalan allowed Blake to take Orac, getting Servalan into a lot of trouble. It sounds like a weak argument but Blake is applying that same logic that he did back in 'Duel'. He knows that he can beat Travis (and by association Servalan) so it's better to keep them alive in case someone more competent takes their place. Avon Like Jenna, Vila and Gan is struck down with radiation poisoning He does let his cool, calm exterior slip slightly when he loses his temper at one point but seems better able to handle the sickness than the others. When Blake and Cally are late in returning it's he that decides to go down to help them. He shoots Travis's robotic hand before Travis can shoot Blake. He says that he was actually aiming for Travis's head though he's probably just trying to look cool. Jenna Spends most of the episode suffering from radiation sickness. She is at least well enough to fly the ship for a short time. She also has the 'honour' of saying the last line in this series. Vila Also suffering from radiation sickness although, unlike the others he refuses to accept that he's ill and might die. 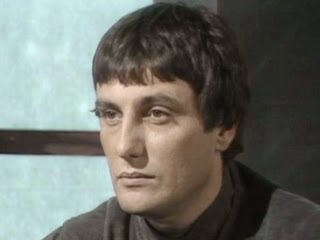 As such he appears to be well enough to go down to the planet with Avon in order to rescue Blake and Cally. He doesn't get on well with Orac in the short scene they share together. Gan Suffering from radiation sickness although seems to be quite stoic about the fact that he might die. He camps out in the teleport room, where Jenna and Avon are, as he says that he doesn't like to be alone. This ties in with his comments back in episode 4 where he says he needs to be around people. Cally Teleports down to the surface of Aristo with Blake as she's the only other member of the crew who isn't suffering from radiation sickness. For someone who has previously been shown to be one of the most caring crew members (she seems to have become the ship's unofficial medic), Cally shows a surprising lack of compassion when dealing with Ensor. She bluntly tells the old man that his only son is dead and then later on, asks his to help her carry Orac when he's clearly having chest pains. Zen Seems somewhat perturbed that his systems could be taken over by an outside source. He states that it is impossible for this to occur but is forced to admit that it happened nevertheless. He concludes that "investigations into this paradox are continuing." Orac (voiced by Derek Farr) The creation of Ensor Sr, Orac is a computer more powerful than any other yet created. It has the ability to tap into virtually any other computer and draw information from it without requiring a direct link to it. It can also take over other computers and control them as it does to Zen in this episode. Orac says that the limits on its abilities have not yet been defined and goes on to demonstrate that it is capable of predicting the future by showing the Liberator a future where the ship is destroyed. In appearance, Orac is a clear plastic box full of wires, electrical components and flashing lights. It looks a bit of a mess and nothing like a incredibly powerful super computer. 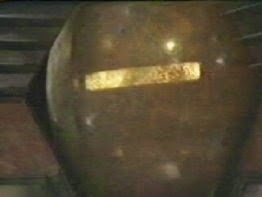 Possibly the ramshackle appearance is intended to disguise Orac's true worth - people looking to steal Orac would probably overlook something that looks like a bundle of wires in a fish tank. Orac is switched on and off by the use of an activtor key that slots into the top. 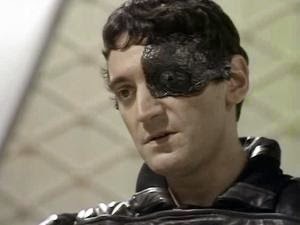 In terms of personality, Orac admits to having taken on certain aspects of his creator's personality and speaks with the voice of Ensor. He seems to be capable of independent thought and is able to debate and argue with the crew of the Liberator. Servalan This is the first time we've seen Servalan away from a Federation base and having to rely on her own wits rather than having numerous Federation men and equipment at her disposal. She is attacked by one of the native creatures that live on the planet and, although she's saved by Travis, she is quite shaken by the experience. She quickly gets however over this and reasserts her authority. Travis Despite the fact that stealing Orac wasn't his idea, Travis ends up taking the blame for Servalan's failure here. 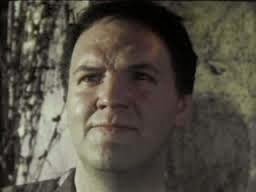 In fact he does very little wrong, saving Servalan from being eaten, finding the route into Ensor's home and resisting the urge to kill Blake until he given the order to do so by Servalan. It seems like, as in the previous episode, he's prepared to put with any humiliation as long as it means he can keep hunting for Blake. And so we reach the end of the first series with a finale, whilst not exactly epic, draws together plot threads from the last episode, gives us another confrontation between Travis and Blake and introduces another regular character in the form of Orac. Orac itself (himself?) is an interesting character. 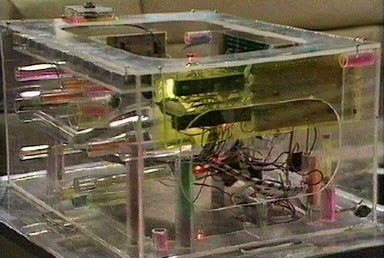 For a computer that is little more than a box with flashing lights in it, Orac already has more of a personality than Zen whose character development, such as it was, stalled after a couple of episodes. The only real concern with Orac is that, with virtually infinite knowledge and the ability to take over almost any computer, how often will it be used as a get-out clause in future episodes? Will it become a sonic screwdriver-type plot device. Despite having seen all the episodes I genuinely can't remember how often they do resort to this so it'll be interesting to find out. For the regular cast, it's Blake and Cally who get most to do here. The other for the most part get to lie around and do their best to look sick. Servalan and Travis get some of the best scenes again with Jacqueline Pearce showing some real vulnerability as Servalan. She and Stephen Greif as Travis make a good team so it's a shame that, in the studio scenes, he has to be replaced by a cunningly disguised body double as Greif had suffered an injury that meant he couldn't be present. It's doubly unfortunate as this is also the last we see of him in Blake's 7 although not the last that we'll see of Travis. The season ends with a big cliffhanger ending, something that was fairly unusual in British television back in 1978. Back then viewers had to wait nine months to find out if Orac's prediction would come true. Fortunately we only have to wait a week for the start of series 2 (or B) and 'Redemption'.